The use of influencers for marketing is a relatively new phenomenon in the online marketing world. In the past few years, even the term “influencer” has changed its meaning. Now anyone can be an influencer–all they need is a following on an Instagram account. If these influencers have enough followers and are big enough, they can charge whatever price they want for every brand sponsored post they put on their Instagram. The sky is the limit when it comes to prices for sponsored posts. Whatever the brand is willing to pay, that is what they are worth. Because the market for influencers is so lucrative and open, how can we convince them to do work for you on a CPA basis? How can you convince them to work with a hybrid compensation payment structure–part commission, part upfront payment? How can you get Instagram influencers to become affiliate marketers for your product? First off, you could pay them. The easiest way to get Instagram influencers to become affiliate marketers would be to work out a compensation deal that allows them to be paid a flat fee by you. Most influencers do not like to work on commission and would rather be paid an upfront fee to promote a product or brand. In exchange, you could work out a deal that the influencer does not receive a commission at all–just a flat fee. Another option is part fee, part commission hybrid payment. This is your chance to teach influencers how affiliate marketing works and how lucrative it could be for them. Most have not encountered this kind of marketing structure, and it could be the start of a great partnership and new business venture between them and a brand. You could also use this to figure out how many “one time” referrals their account creates vs. consistent business and make a decision on how to pay them then (either hybrid or upfront flat fee). The most common way to get an influencer to post an ad on their Instagram feed is for the brand to send a picture of the product to the influencer and ask them to repost it. This is a straightforward way to get the product or brand’s name out there to the influencer’s followers, but it is also impersonal. While this may not matter because the influencer has built up specific followers that are interested in the influencer regardless, the ad may get more attention if the influencer personalizes it by appearing in the ad. This is when it might be worth it to send the influencer free products. Making a deal with the influencer to create a personalized advertisement with your product can be the difference between a few sales and a significant amount of sales. 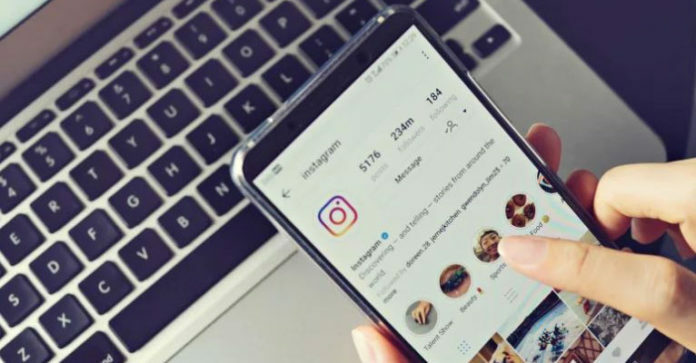 It is known that Instagram followers will engage with sponsored ads that have a personal touch in the AD and not just an impersonal photo of the brand or product itself. Another marketing method you could use with Instagram influencers is to host a product giveaway with them. Influencers would be particularly amenable to giveaways, as it gives them great interactions with their follows, but also could bring new followers. When you do the giveaway with the influencer, make sure that your social media accounts also profit from the giveaway (in the form of new followers, customer information, etc. ), not just the influencers. When the giveaway is finished, and it is time to send the product to the winners, make sure you send the products directly to the winners and use it to gain some direct goodwill from them, personally. For example, you could ask the winner to post on their other social media (Facebook or Twitter) about how they won your product in a giveaway so that their family and friends can be exposed to your product. You could also offer additional discounts if the winner has family or friends who buy your product because of their referral. Lastly, you could also give a discount to the winner, instead of just giving away free product. The biggest issue with influencers is trying to get customers to click on their affiliate links. We always see the phrase at the end of the post or ad “link in the bio,” but sometimes their followers don’t want to take that extra step, perform that extra work to get a product they may not “need.” So if their followers click out of Instagram and go online to buy, based on the influencers recommendation, then how does the influencer get the sale attributed to their influence? How can a company track how many sales came directly from the influencer? This is where you use one of a kind coupon codes that allow you to track the sales that each influencer has made. Most affiliates have an option where a coupon code is set to “forced exclusion” by the affiliate and is unique to each influencer. This allows for the fact that even if the customer does not click on the influencer’s affiliate link in their bio, the resulting sale will be appropriately attributed to the influencer’s Instagram page. Another option is to use the “story function” that Instagram added some time ago to challenge Snapchat. This has become of one of Instagram’s most popular features and is a great way to bring awareness to products or brands if the influencer uses the story function correctly. It is a simple way to bring more awareness, especially if you are already in business with an influencer–they may add the sponsored posts onto their stories for free. The world of Instagram and Instagram influencers is young and constantly evolving. We have barely begun to scratch the surface of affiliate marketing on social media, but hopefully, these tips will help you build your affiliate marketing program. If you are looking for more information here is a complete step by step beginners guide on how to get started with affiliate marketing. David is a full-time affiliate marketer and founder of Buildapreneur.com. He loves affiliate marketing because he can teach people everything he knows for free, and make his profits other ways. He is the top affiliate for multiple software companies and sells one of the most well-known courses on affiliate marketing.